The SKA Project is now in the pre-construction phase with 11 Consortia carrying out design work to enable the project to enter the construction phase in 2018. These consortia are spread across the globe and are constituted from a variety of institutes and commercial companies. The consortia have all contributed towards the Re-Baselining exercise which is now complete and all have been through their Preliminary Design Review Meetings. 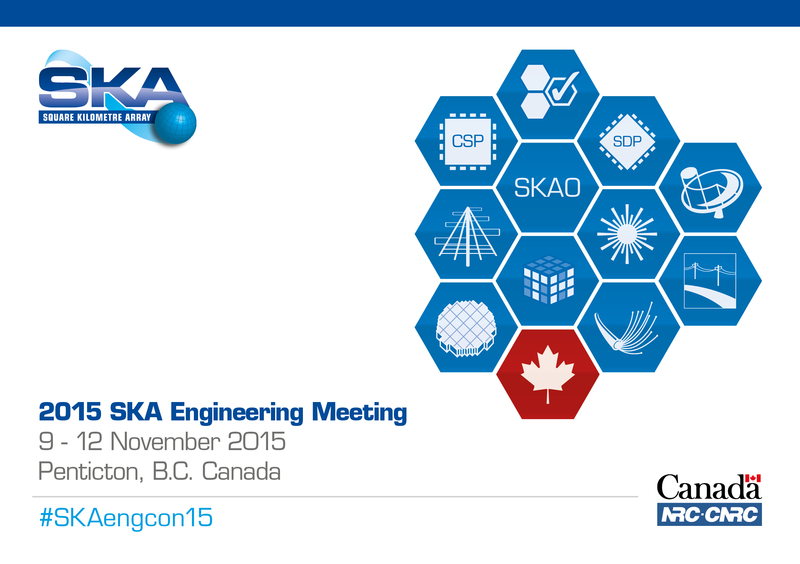 The aim of the 2015 SKA Engineering Meeting is to provide a global overview of the status, progress and way forward for the project in terms of engineering and management, with a summary of the science goals. Part of the meeting will be devoted to Consortia presentations on the status of design and progress in each of the work-packages, which will include the status of their PDR and their plans towards CDR. The Consortia will present their composition and approach, along with issues and options for further cost management. As part of the conference we plan to run a series of workshops dealing with specific issues; for example, RFI, Architecture and interfaces. We also plan to include sufficient time for the consortia to spend time interacting together as well as allowing a day, on the Friday, for all consortia to hold a face-to-face meeting. The meeting will furthermore provide a forum for consortia to work the many common issues such as interface definitions in work sessions to allow closure following PDR activities. Naturally, there will be general face-to-face discussions among SKA Office staff, members of the SKA Element Consortia and other members of the science and engineering community. Last but not least, visits to the Dominion Radio Astrophysical Observatory will be arranged during the week. Further details will be provided shortly. The main meetings will be held Monday 9 November to Thursday 12 November, and the Consortia meetings will be held on Friday 13 November. Meetings will take place at the Lakeside Conference Centre, Penticton, BC, Canada. It is open to all members of the Consortia and SKA science community working as part of the pre-construction phase of the project. Registration was opened on Tuesday 21 July.